After her last 2 books, I can say that SEP is back in the game. I did not like Glitter Baby because I did not like any of the characters. As for What I did for Love, well Julia Gibson destroyed it for me. While Anna Fields has left huge shoes to fill, I think Shannon Cochran did pretty good job. The characters were flawed but likeable, which is an SEP trademark. And yes, many aspects of the storyline have been rehashed in other books, but who cares, it is a sussessful formula and should be used multiple times. At least I can say this for myself, I always come back for a second serving of SEP's macho male character and headstrong damsel in distress any day. My only regret is that Lucy did not seem anything like the teenager she was and story B (an SEP trademark) was missing. Nevertheless, I loved the book, especially the culminating finale at the landfill. Skye Titan's wealthy father thinks he can still dictate his daughter's choice in men. Now widowed and a single mother, Skye isn't the yes-girl she once was. Especially since the love of her life is back in Texas after eight long years. He won't like the answers to the questions he's asking. About why she left him at the altar. And about her eight-year-old daughter. 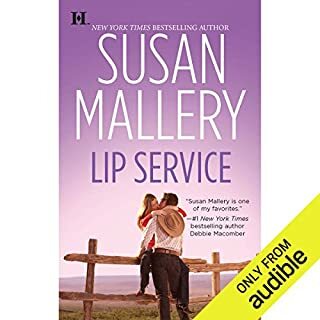 I have read all of Susan Mallery's past series and enjoyed them tremendously. This one started well with book 1, but book 2 has been a let down, starting mainly with the female character Skye. Her weakness, self pity and inability to stand up to her dad were way off the charts. Also, the author expected too much out of her readers this time. 1. We have to accept that an 18 year old could be pushed by her father into marrying a stranger even though she's in love with another, but to be allowing herself to be bullied into it again at age 30 because god forbid daddy won't love me anymore, pleeeaaase!! 2. We're expected to like her dead husband, a man who married his friend's teenage daughter, yeech! 3. The 2 sisters dating and fighting over the same guy was absolutely distasteful. 4. Skye's character of peacemaker in book1 became disturbingly unreasonable and silly in book 2. Two things saved this book: Skye's little girl, really sweet kid that you cannot help but love her and Mich's struglle with his disability and loss. In my opinion, Mich let Skye off the hook way too easily and she was not worthy of him. 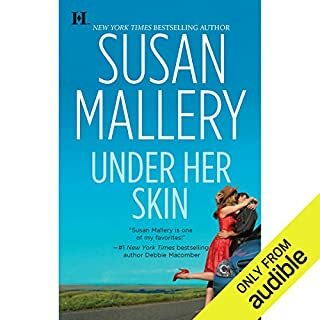 For Susan Mallery, this book was just tolerable. I really hope she'll get her mojo back in book 3. 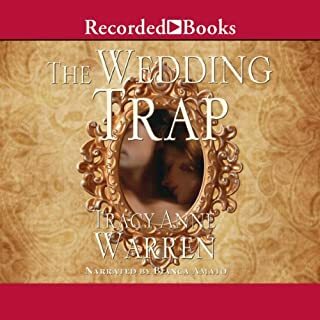 In this glittering Regency romance from acclaimed author Tracy Anne Warren, wallflower Eliza Hammond has suddenly become a wealthy heiress. Now, every eligible bachelor is interested in marrying her. 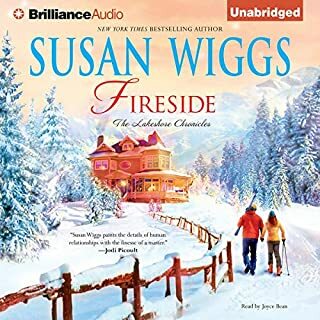 Hoping to instruct Eliza in the social graces needed to attract the best suitors, her best friend Violet enlists the help of her brother-in-law, Lord Christopher "Kit"Winter. Just one problem. Eliza has always secretly pined for Kit. This was a suprisingly good book, witty, funny, and oh, very sensual. I really enjoyed it. The narrator was excellent. Her nasal rendition of the bad guy, cousin Phil, was awesome. Eliza is basically shopping for a husband after she inherits her aunt's fortune. Her friend Violet enlists her brother-in-law Kit to help coach Eliza in her first season as an eligible heiress within the ton. The fact that Eliza is secretly in love with Kit and that Kit can't see love if it hits him over the head makes for a funny and frustrating situation for everyone involved. I wanted to wring Kit's neck sometimes. Very enjoyable story, light and fun. I am now looking for the other books in the series. If only audible would add them to its list. 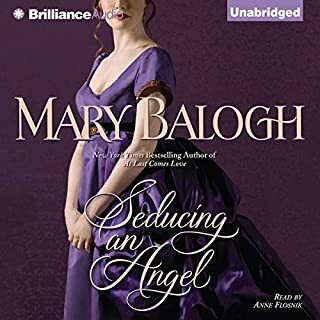 This novel sweeps us into a world of scandal and intrigue - glittering Regency England - and introduces the youngest Huxtable: Stephen, the only son. Here Stephen will risk his reputation and his heart as he enters a scandalous liaison with the infamous beauty intent on seduction. But when passion turns the tables on them both, who can say who has seduced whom? And finally, in book 4, Cassandra offers to be Stephen's mistress on their first interaction. A little reverse psychology by Mrs Balogh! Cassandra is the female version of Duncan, self sacrificing, compassionate and unjustly shunned by society. Her battered past turned her into a cynic about love. Desperate to survive and protect her female dependents, she decides to offer herself to Stephen as a mistress. Little did she know that if the Huxtables are about one thing, is their optimism and belief in love and family. Stephen and Cassy engage in a sexual relationship too soon, but it takes them on a journey where both earn the title of "angel". Book 4 was just as good as book 3 as this author never disappoints. The story comes full circle and ends with the same scene book 1 started with: Con talking to the soul of his dead brother in the graveyard. I emailed Mrs Balogh (isn't she the coolest author) and she informed me that Con's story "Taming the Devil" is due out June 2010. I just can't wait. Only desperation could bring Duncan Pennethorne, the infamous Earl of Sheringford, back home after the spectacular scandal that had shocked even the jaded ton. Forced to wed in 15 days or be cut off without a penny, Duncan chooses the one woman in London in frantic need of a husband. 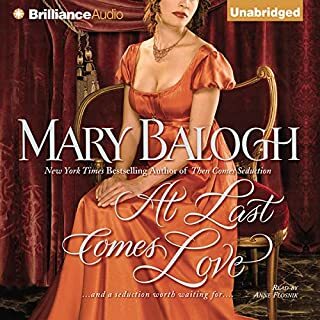 A lie to an old flame forces Margaret Huxtable to accept the irresistible stranger's offer. But once she discovers who he really is, it's too late - she's already betrothed to the wickedly sensual rakehell. The first 2 books of the series dealt with the stories of the 2 Huxtable sisters: Katherine and Vanessa. We've also been introduced to the eldest sister Margaret (Meg) who sacrificed her happiness to fulfill a promise she made on her father's deathbed when she was only 17 years old to raise her brother and sisters until they reached maturity. As a result, she tells her sweetheart at the time, Crispin Dew, that she will wait for him to return to her when he finishes his military service, only to find out accidentally that he married someone else and did not even bother to inform her himself. Book 3 is Meg's story and I am delighted to say (after giving 3 stars to the last book) that it has been the best one in the series so far. Duncan was a great match for the self sacrificing, compassionate, honorable and level headed Meg. He was also a cynic who no longer believed in love but was seeking to marry out of necessity. Their first exchange is one of the highlights of the book and carries Mrs Balogh's traditional signature humor and sarcasm. The main theme of their story was trust and being faithful to one's conscience in my opinion. This book featured what I have always expected of Mrs Balogh: humor, exquisite dialogue, sarcasm and lots of heart. The 2 villains were somewhat one dimensional, but the secondary characters (grandfather, Duncan's mom, Sir Ingraham and Tobby) were very likeable and had a lot of depth to them. Stephen has also matured in this book and we are obviously being prepped for his upcoming story. Yet, I cannot wait for Constantine's book because he is the most complex character in the series. If you are reading Mrs Balogh, please give us Con's story. To audible listeners, download this book and enjoy. You won't be disappointed. P. J. Morgan, first met as the sass-mouthed teenager in Hot & Bothered, is now a grown woman and a rising country music star on tour. And one lucky man is going to find out that the real show happens offstage. Not as good as the first book in the series. When I finished listening to "Hot and Bothered", I immediately downloaded this book to see what happens to PJ and Jared. In the first book, PJ was a proud teenager, full of sass yet with a vulnerability that tugged at my heart. I loved her and could not wait to listen to her story. I have to admit that I did not like her as much as an adult, especially at the beginning. She treated Jared dismally despite what they had shared, not caring if he freezes to death when he was just doing his job. 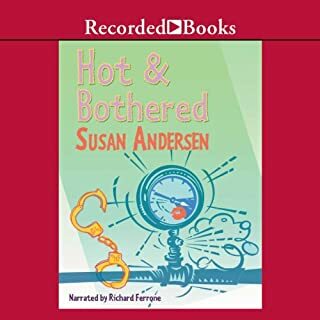 The story picked up halfway through the book, but it lacked the sweetness and humor that made me love the first book "Hot and Bothered" and give it 5 stars. This one fell short for me unfortunately. John "Rocket" Miglionni is a U.S. Marine turned private detective who gets a case looking for a young man named Jared who has run away after the murder of his father. It turns out Jared's sister is a beautiful woman John spent an unforgettable week with years ago. Victoria never forgot that week either - because she now has a six-year-old daughter born of their passionate affair. Victoria's father is murdered and her teenage brother is a suspect. 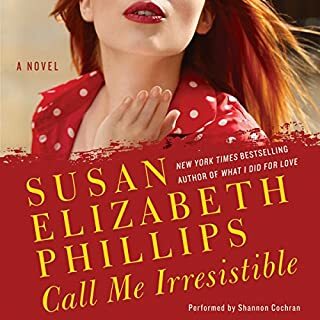 She hires a private detective to locate her brother and clear his name only to come face to face with the man she spent an unforgettable week with 6 years ago which resulted in making her a single mom. The 5 year old Esmay was a hoot and I just loved watching father and daughter discover each other. I laughed out loud at the Racoon Ants Mission and the barbie platoon. The secondary story between her brother Jared and his side-kick Priscilla is very sweet and I have already downloaded Andersen's second book for this series "Coming Undone" to find out what happens to them when they meet again as adults. This was my first read for this author and I am now a fan. The book is fast paced with good character development and witty dialogue. I highly recommend it. Why do I hate this book? Let me count the ways. This is my 2nd read/listen for this author and definitely my last. The only way I was able to go through it was by putting it on fast settings. The pace of her stories are just too slow for me, the characters are selfish and don't draw me in. This one in particular was distasteful to me because I felt she was too preachy and one sided with her social commentary and views on immigration. By the 1st chapter, I got it illegal immigrants are "undocumented" and "have done nothing wrong", "except went to work every day". A LEGAL immigrant myself, I will leave a debate about those who breach our country's immigration laws for another forum, I will just say that the premise of the story was completely unrealistic. A woman who lived here all her life, got married, divorced, gave birth, and worked, yet never had to show proof of residence in the US; has no mexican citizenship, yet gets deported to Mexico; gets detained, without her son being allowed to see her or talk to her over the phone; this is not how the system works and I have personally been through the system myself. I also could not stand that little boy who was just annoyingly selfish and rude to his dad. I had a similar opinion after reading "Table For 5" which took half the book to get us through one day of the story. Never again.